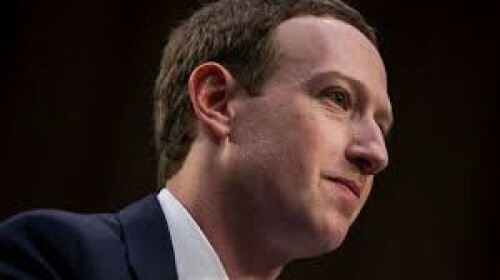 Wellington, April 8 (IANS) New Zealand's privacy commissioner John Edwards has labelled Facebook as "morally bankrupt pathological liars" after the social media platform's CEO Mark Zuckerberg tried to play down the Facebook livestreaming of Christchurch shooting that killed 50 people. "Facebook cannot be trusted. They are morally bankrupt pathological liars who enable genocide (Myanmar), facilitate foreign undermining of democratic institutions," Edwards tweeted late Sunday. "(They) allow the live streaming of suicides, rapes and murders, continue to host and publish the mosque attack video, allow advertisers to target 'Jew haters' and other hateful market segments and refuse to accept any responsibility for any content or harm. They #DontGiveAZuck," Edwards said in a follow-up tweet. "I have deleted the tweets promoting my discussion about Mark Zuckerberg's interview because of the volume of toxic and misinformed traffic they prompted," Edwards mentioned. According to a report in New Zealand Herald, Edwards lashed out at Zuckerberg after the Facebook CEO, during an interview at America's ABC TV network, "poured cold water on even a slight delay for Facebook Live, saying it would 'break' the service which is often used for two-way communication". In an interview with Radio New Zealand on Monday, Edwards said Zuckerberg's "greater good" argument was "disingenuous" because "he can't tell us - or won't tell us, how many suicides are livestreamed, how many murders, how many sexual assaults". "I've asked Facebook exactly that last week and they simply don't have those figures or won't give them to us," he added. Edwards also asked Facebook to hand over names of people who shared the alleged gunman's video to NZ Police which the social media giant refused to share. Under the new law, which passed both houses of Parliament, obligations will be placed on internet companies to stop the spread of violent material. Failure to do so could see executives face up to three years in jail, or fines of up to 10 per cent of the platform's annual turnover. The new "duty of care" laws could even hold social media executives personally liable for terrorist and child abuse content on their platforms.